Remember Jack? His mom sent him into town to sell the family's cow, and he came home with a couple of magic beans. I'm thinking they were probably scarlet runner beans. I mean, just look at them. Definitely possibly magical. Also probably magical: the scarlet runner beetle. (I made that up: I don't actually know what they're called.) But they seem to like living on the scarlet runner beans in my friend Becky's backyard, and they are absurdly pretty. I'm tempted to capture them and train them to sit on little girls' heads as accessories. 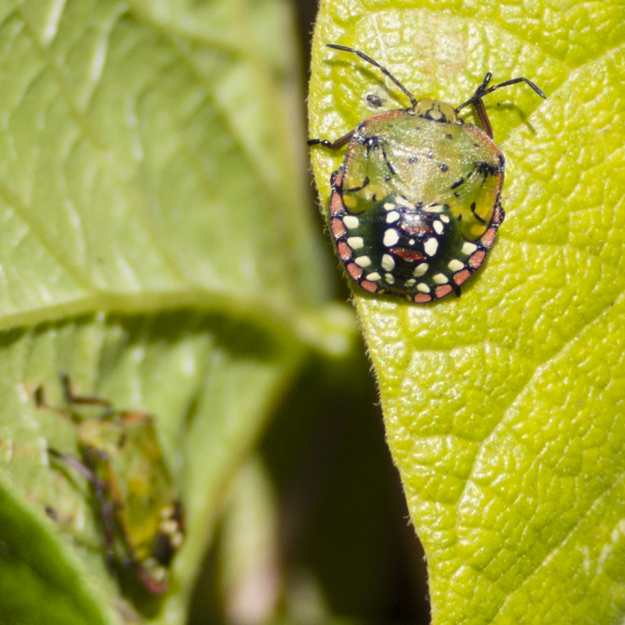 Beetles: the natural, planet-friendly alternative to those wasteful plastic barrettes. Right? 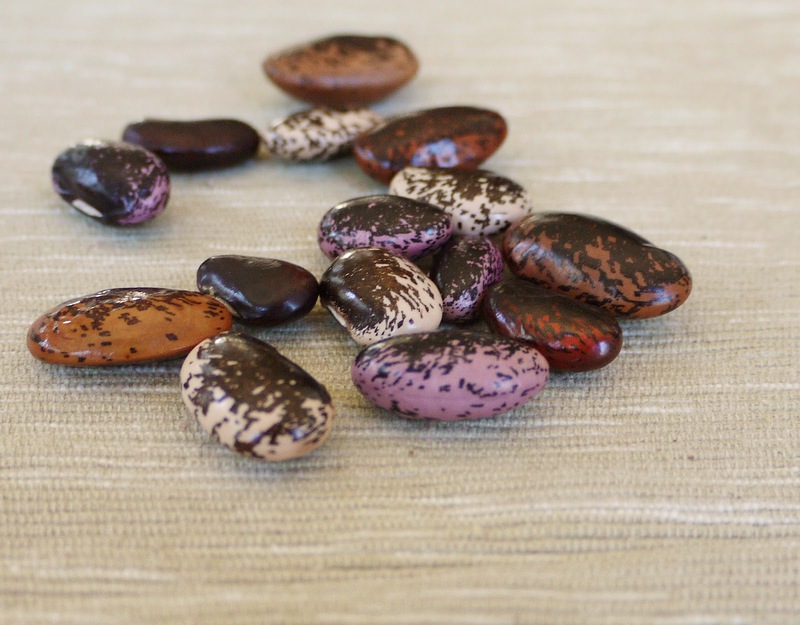 I got my scarlet runner beans at the Richmond Grows / Eco Center seed swap last spring. No livestock trades involved, although there was some delicious potluck activity. 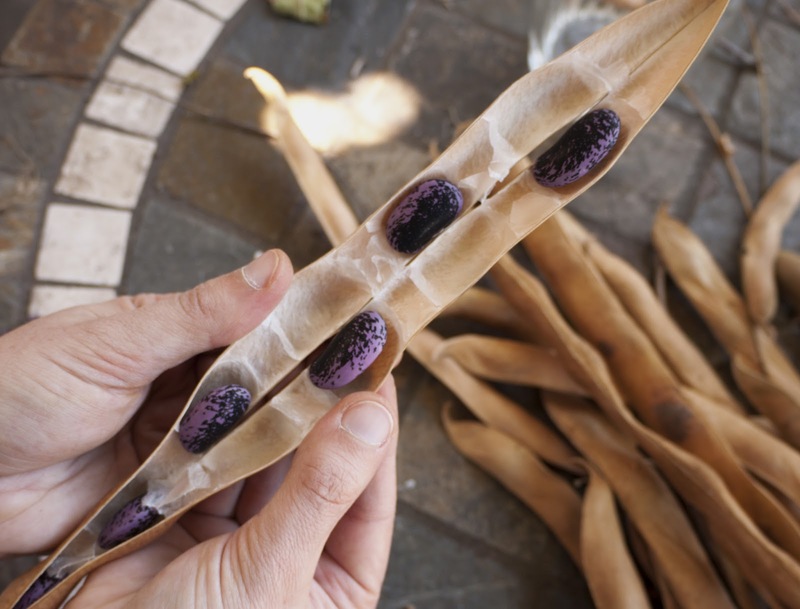 Sadly, these beans did not produce sky-piercing beanstalks that led to magical castles inhabited by treasure-hoarding giants. 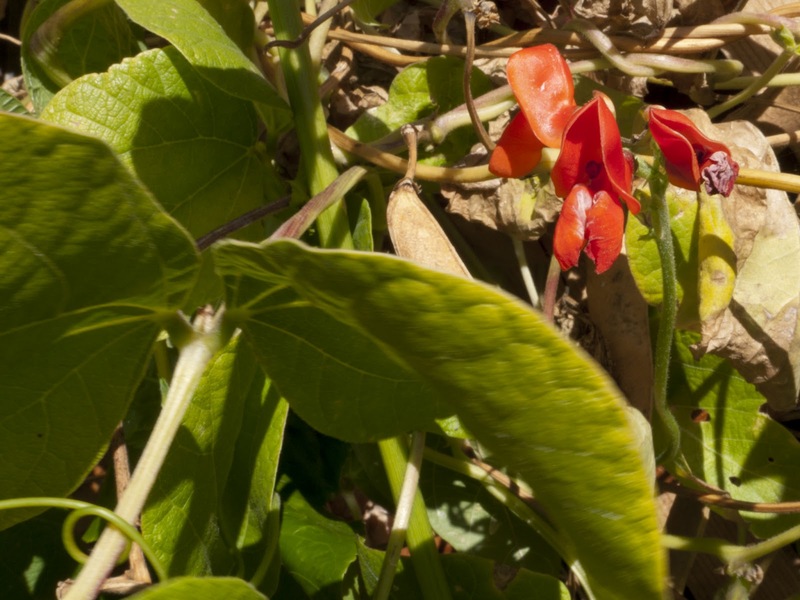 Instead, they produced ordinary tall beanstalks, a profusion of flowers — some red, others red-and-white —and, eventually, a bunch of long, slightly fuzzy beanpods. Of which all but three were eaten by the goddamn deer before I could harvest them. 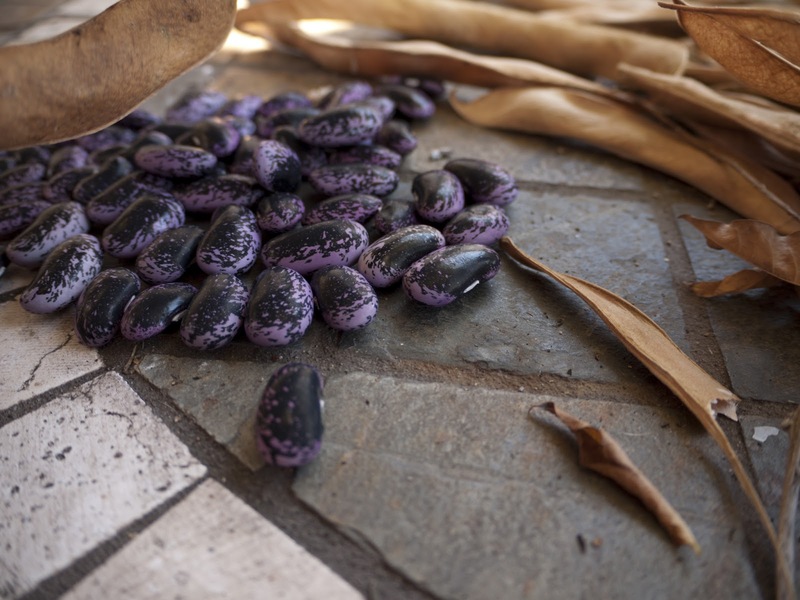 My total yield: ten black-and-white speckled beans, four lavender-and-purple ones. Fortunately, Becky's vines produced bountifully, despite the cute little beetles, and she's happy to share. Particularly if I cook. Her seeds were all of the purple-speckled variety. How do they taste? We'll find out once our schedules overlap enough to schedule dinner. 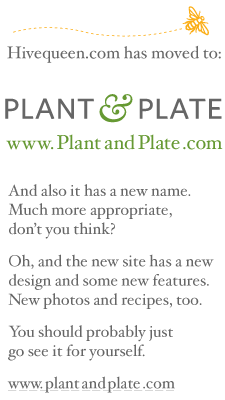 I'm looking at Inverbrook Farms' recipe for "Scarlet Runner Beans in Smoky Tomato Sauce over Creamy Polenta," unless anyone has an even more delicious-sounding recipe.